A world-class centre for creativity, learning and culture. Every year more than half a million visitors pass through Winchester Discovery Centre’s doors, making it one of the city’s most visited destinations. 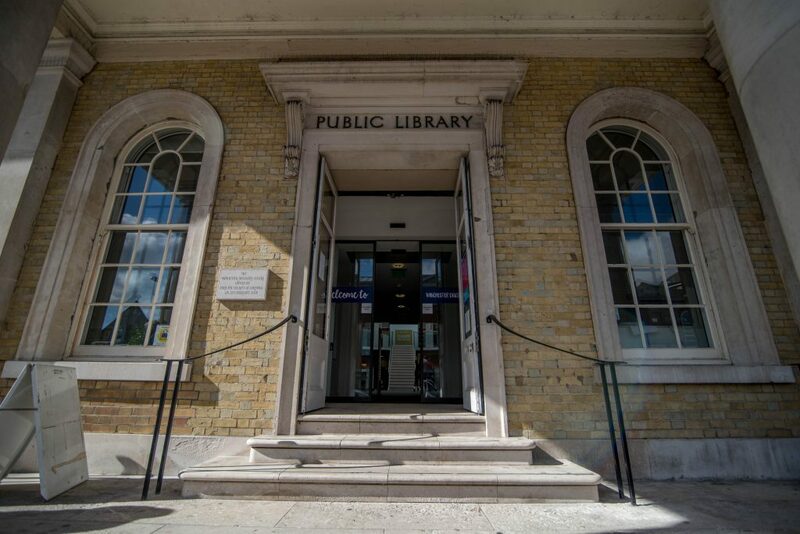 It’s home to Winchester’s main library so an ideal place to discover more about the area’s rich and ancient history. It also houses an 180 seat theatre which features tours from acclaimed singers, musicians and performers. With more than 150 events, gigs, concerts, talks, shows and exhibitions taking place every month, you’re sure to find something to suit. A short hop from the railway station and the city’s high street, Winchester Discovery Centre is also home to a tourist information centre as well as free Wi-Fi. 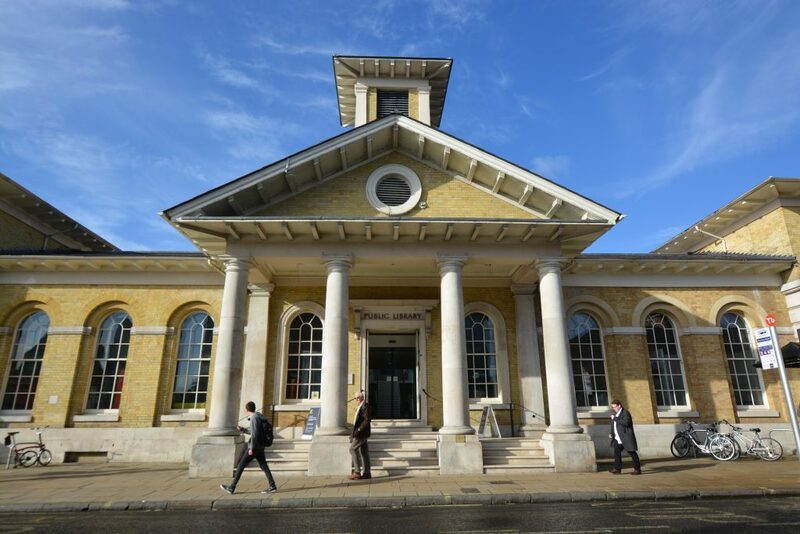 Two public art galleries host free touring exhibitions organised by the Hampshire Cultural Trust: last year featured Jane Austen, Iron Age jewellery and artist JMW Turner. There’s also a large separate children’s section in the library with activities and puzzles to keep youngsters entertained. The café, with its vast floor to ceiling windows and a 19 metre tapestry by artist Alice Kettle, makes an outstanding venue for a coffee or a well-earned lunch. The centre’s gift shop sells a unique range of souvenirs, literary gifts and distinctive cards. 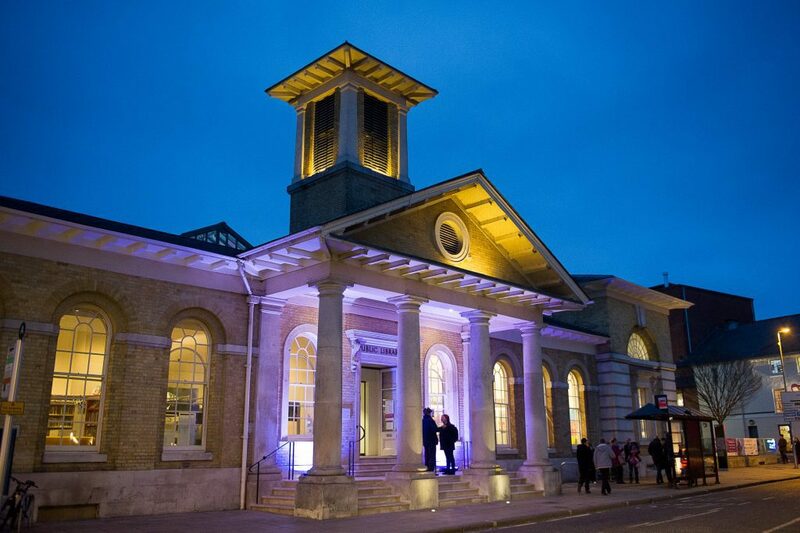 Winchester Discovery Centre is based in the historic Corn Exchange building at the heart of the city’s cultural quarter. 10% off the Discovery Centre cafe. Why not stop for a bite to eat, while exploring what the Discovery Centre has to offer? Download a copy of the voucher here. You can also download the Winchester Visitor Map to get this special offer and many more. Access to the library and gallery spaces is free. Ticket prices for shows vary, please see the website for more details. Winchester Discovery Centre is located on Jewry Street near the city centre, next to the Theatre Royal. Winchester railway station is a five minute walk away and the Discovery Centre has its own bus stop, directly outside the main door. The bus station is a 10 minute walk. A car park, with wheelchair accessible parking, is located on the left hand side and rear of the Discovery Centre, postcode SO23 8SB. Polari showcases the best in established and emerging LGBT+ literary talent. The florists at the station, Catkin & Pussywillow are back for another season of exciting florist workshops at Winchester Discovery Centre. 'Maths for Parents' author Rosemary Russell shares amazingly simple tips to help give your child a ‘can do’ attitude to maths. Now entering its eleventh glorious season, Barnstormers Comedy returns once more to the Winchester Discovery Centre. A week of feature film premieres and award-winning short films selected from over 50 countries, in venues across the city of Winchester. The Winchester Chamber Music Festival is an annual four-day celebration of chamber music and song with the brilliant London Bridge Ensemble and their special international guests.